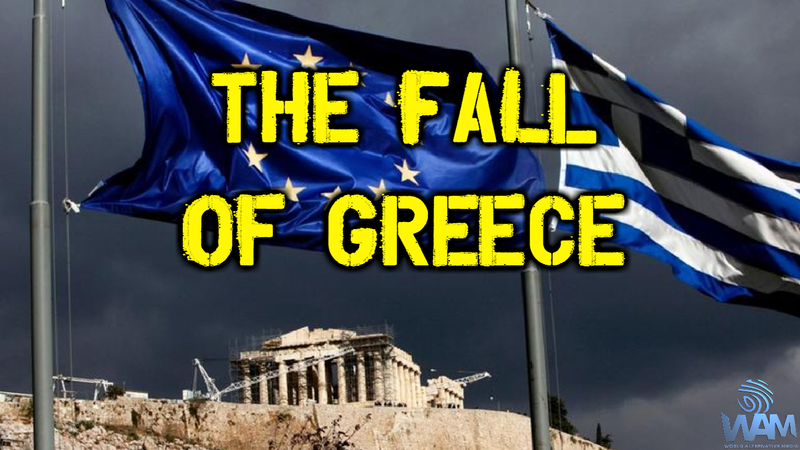 Author and economic analyst John Sneisen and I break down the latest news out of Greece as the country fails to secure further bailout funds and their economy continues to crash and fall down a bottomless pit of debt. This is the inevitable end of all centrally planned fiat empires, especially those running on a globalist monetary system like the Euro. Greece has gone through bailouts, bail-ins and the populace is buried in debt which makes them especially subservient to their masters. With an unemployment rate of 23.2%, a youth unemployment rate of 47.9% and a labor force participation rate of 51.9%, Greece teeters on the edge of a cliff and it's not getting any better until it's allowed to crash and burn and be rebuilt from scratch by the hand of demand and natural value fluctuation instead of central planning and further manipulation. Good report as usual! When does John Sneisen come to Steemit? Sloth is one of the Seven Deadly Sins. But how does this interact with Greece's part in the EU? I guess you have seen the picture "Seven" with Brad Pitt and Morgan Freeman. When I look at Greece it reminds me to the guy lying in bed for over one year been photographed once a day to illustrate his lethargy. The EU does the same to Greece what the killer did to his victim: they're bleeding Greece and their population slowly out to make a threatening statement to the rest to not to leave; that's their real business. And what drives me mad is, in Europe nearly no one is interested in Greece's fate!